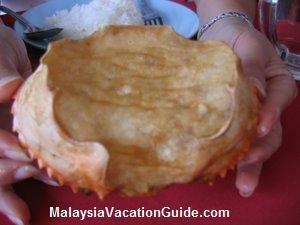 The Kuantan food featured here is affordable and popular among the locals. These eateries are usually packed during the weekends and public holidays hence it is always a good idea to arrive early to enjoy the food. 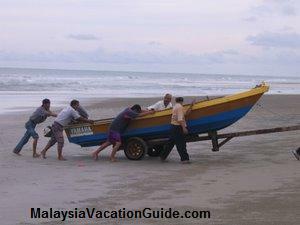 As with most places of interest, you will not go wrong when you follow the lead of the locals. 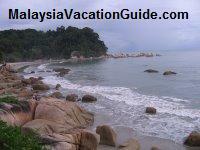 With the completion of the East Coast Highway to Kuantan, you can now reach this city in about 3 hours from Kuala Lumpur. Consider this city if you are thinking of going away for a short break. 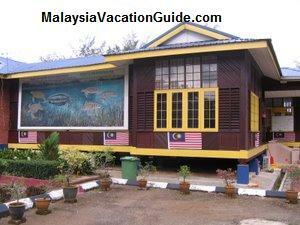 This restaurant is located at 31, Jalan Teluk Chempedak and is within walking distance from KFC, McDonald and 7-Eleven. It is opened from 7am-2pm and is closed every alternate Mondays. 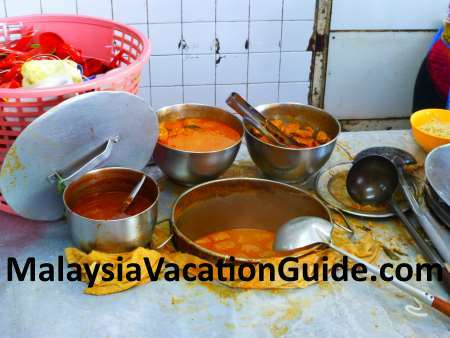 It is famous for curry noodles and is usually packed during the weekends. 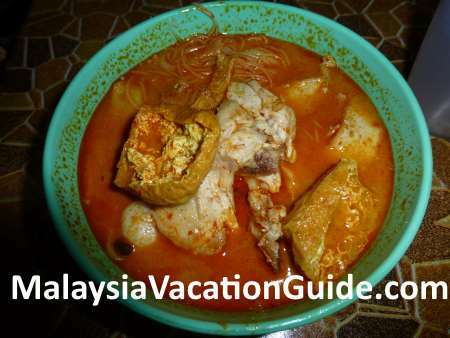 The curry is not too spicy and the ingredients include "foo chok", fish balls, chicken, fish cakes and bean sprouts. This coffee shop is located at B-1445, Jalan Beserah and is opened from 6:30am-7pm. 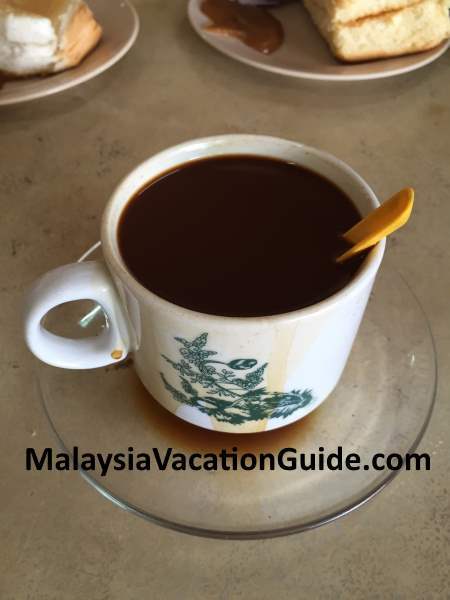 Try the black coffee which is thick with a generous amount of milk. Can be taken hot or with ice. 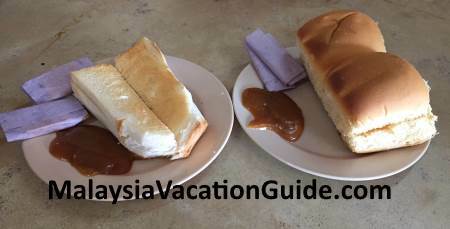 The signature food of the shop is toasted bread with "kaya" and butter. Choice of bread is either sliced bread or buns. If you prefer, you can also choose to have steamed bread instead of the toasted version. Toasted sliced bread and buns. This corner shop is the place to go for dessert after your meal. The signature dessert is "cendol" which can be taken as it is or you can add glutinous rice or red bean to it. 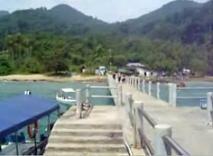 Waiting time can be long during the peak hours and weekends. "Nasi lemak" that is wrapped in banana leaf is also sold here. The address of the shop is B-206E, Jalan Air Putih and is opened from 12pm - 5:30pm. It is closed on Mondays. The corner shop of Cendol Air Putih. 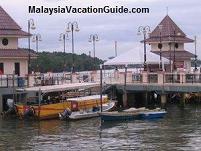 This shop is located at Tanjung Lumpur and is the place to go for Malay food. 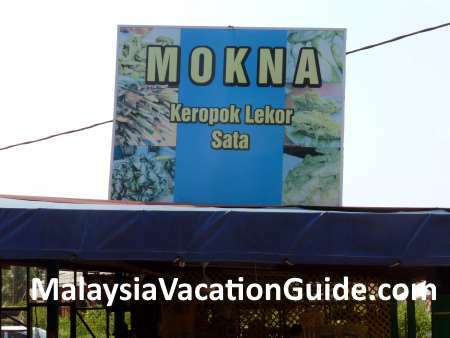 It has the most variety of "kuih" in Kuantan and if you are looking for snacks after your meal or simply for afternoon tea break, this is the place to go. It is opened from 11:30am-7pm and is closed on Fridays. Here are some of the snacks. 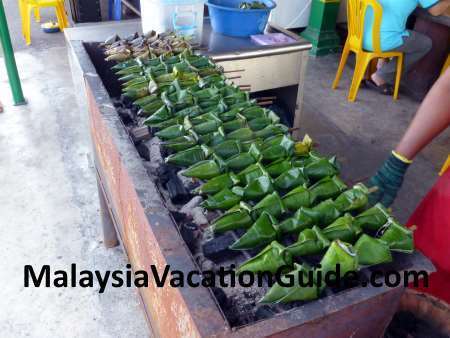 Sata is a banana leaf-wrapped minced fish, lemongrass and onion that is barbecued using coal. Buy a few and share. 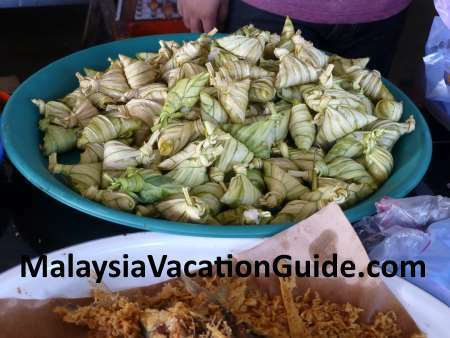 "Ketupat" is nice to be taken with "Sata"
"Sata" or "Satak" is manually barbecued using charcoal. The shop along the main road. This stall is one of the many stalls located outside the Kuantan market just behind the bus station. It is non-halal as one of the ingredients used is mined pork and barbecue pork. "Wantan Mee" is taken for breakfast or lunch. 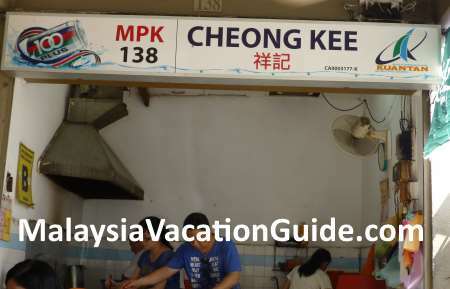 Cheong Kee Stall at Kuantan market. 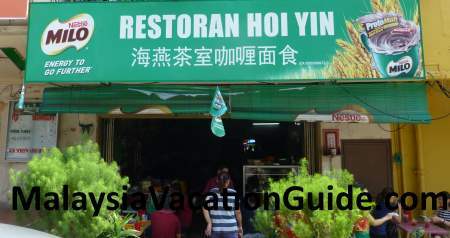 The stall serves "wantan mee" or egg noodles and is packed with customers during the weekends. You may have to wait for at least 30 minutes to get your bowl of noodles on a busy day. Place your order and take a walk to the nearby market to get our groceries. 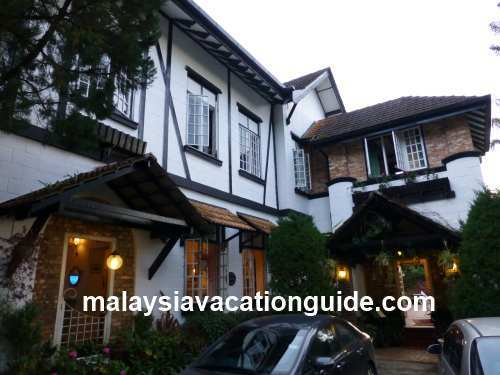 The address is 138, Jalan Pasar Baru 2, Kuantan and is opened from 7:15am-12pm.